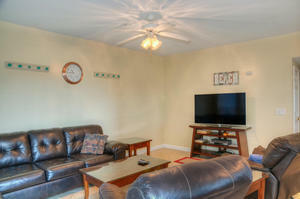 What better way to enjoy a Myrtle Beach vacation than in the privacy of your own ocean view condominium? 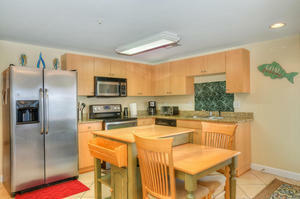 Pier Watch Villas II 110 condominium rental is beautifully appointed as you will discover immediately upon arrival. Pier Watch Villas II 110 is a vacation rental that is an end unit with a two-level wrap around porch that offers ocean and salt marsh channel views. 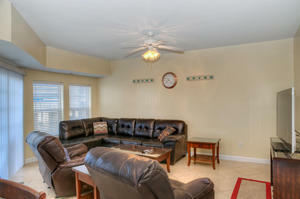 The six-bedroom, four-bath luxury condo rental is elegantly appointed and boasts incredibly spacious interiors. Stainless steel appliances adorn the full kitchen and a large, flat-screen television makes the Pier Watch Villas II 110 living room even more inviting. One of the four baths at Pier Watch Villas II 110 boasts a Jacuzzi tub and a washer/dryer unit are provided for you inside your ocean view condominium. 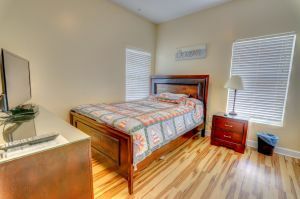 Take advantage of the high-speed Internet access in this vacation rental and gaze at the ocean views from the master bedroom, living room and private balcony. Pier Watch Villas II 110 is located in the Cherry Grove section of North Myrtle Beach, South Carolina, where fishing piers, a salt marsh inlet and the ocean come together for one exciting location. Walk across the street to the beach. The vast Atlantic Ocean spreads out before you. 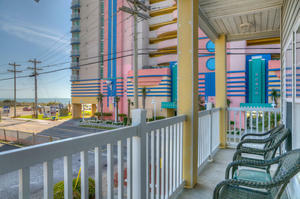 Look out over the water while marveling at the North Myrtle Beach oceanfront sunrise. A public beach access leads you past the dunes and to where sea oats flank the sandy shoreline. 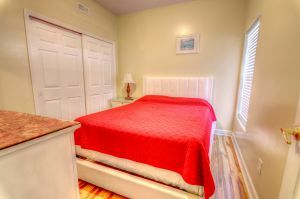 The serenity is absolute bliss and the convenience of enjoying accommodations that are this close to the ocean is spectacular. Pier Watch Villas II 110 is a perfect family beach retreat. 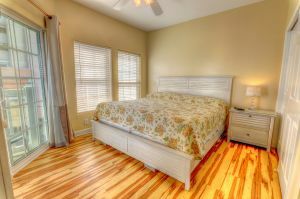 The luxurious accommodations at Pier Watch Villas II 110 are nicely furnished and comfortably laid out. Spend some of your North Myrtle Beach vacation days playing in your own backyard at Pier Watch Villas II 110 where a swimming pool and hot tub can entertain your family for hours. Take a beach chair to the edge of the water and read your favorite novel. Walk hand in hand up and down the beach in search of beautiful seashells that make ideal Myrtle Beach souvenirs. 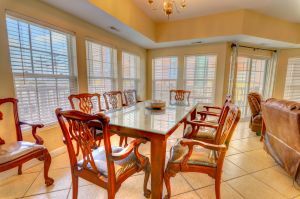 A great feature of Pier Watch Villas II 110 vacation rental is its close proximity to all the wonderful attractions of Myrtle Beach. Shopping is on every corner and with 100 golf courses in the Myrtle Beach area you are never far removed from a tee time. 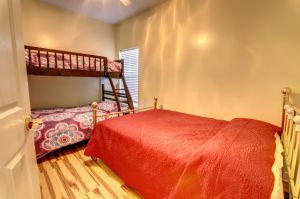 Kids love the adventures found at local water attractions and amusement parks and all of them are minutes away from this ocean view condo rental. Fishing is a popular pastime in Myrtle Beach and with fishing piers, fishing charters, head boats, deep-sea fishing excursions and plenty of coastline for surf fishing, the opportunities are seemingly endless. 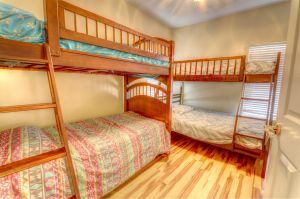 Indulge in all your favorite activities when you vacation at Pier Watch Villas II 110 and be closely located to all the popular activities of Myrtle Beach South Carolina.